Friday February 8, 2019 - A new laboratory test sponsored by a local daily shows that fish imported from China have traces of Mercury, Lead and Copper. Since 2015, Kenya has been importing millions of tonnes of Chinese fish for consumption and according to an independent test carried out on some samples, they are not fit for consumption. Fish imports are not subjected to further laboratory tests once they land in the country. Kenya has therefore left fish consumers at the fate of Chinese approved agents. 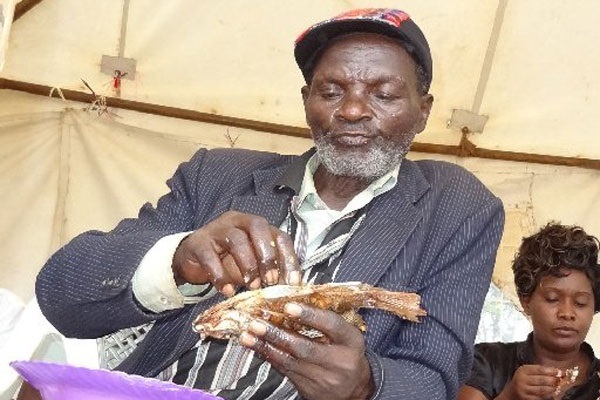 The Chinese fish is preferred by many Kenyans because it is affordable, with a box of 60 pieces retailing at Sh 2,700 among wholesale traders. However, in a fast response Kenya Bureau of Standards (KEBS) denied that Chinese fish poses a major health risk to Kenyan consumers. KEBS said fish samples from various accredited laboratories did not find any Lead, Copper or Mercury. “All imports to Kenya are required to be tested at the country of origin; and if they meet the specifications in the standards they are issued with a certificate of conformity. Upon arrival in Kenya, the imports are subjected to destination inspection,” KEBS said.